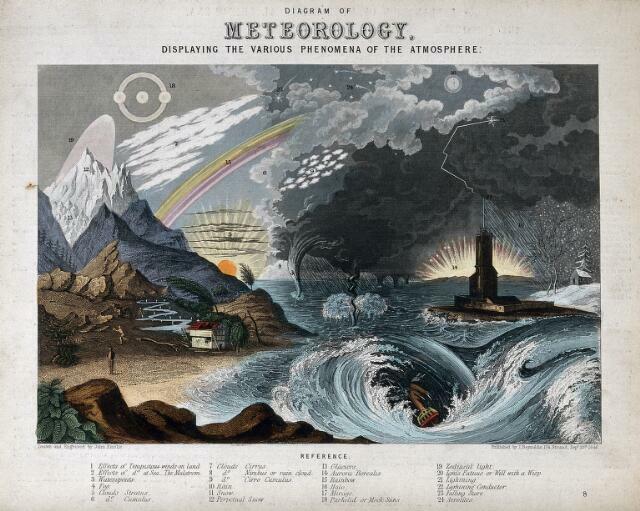 Astronomy: a diagram of various atmospheric effects. Coloured engraving by J. Emslie, 1846, after himself. London (174 Strand) : J. Reynolds, 20 September 1846.